This art was made 100% by me. Stealing is wrong and can get you frozen, I know my art when I see it! Note: I have made many more graphics than this, I just wish to show these. Some are drag and drop. Hi there! My name is Cookies and this is my application for nimorika_wind the UC Faerie Xweetok. Enjoy! What will I do with Nim? With Nim, I plan to do alot. First, I would create a character story for her. She would be my second roleplay pet(my first one is Angalisa). Along with Angalisa, I would roleplay with some of my guild members, or friends! Next, I plan on opening a graphics site on her petpage. I love sitemaking, and since my real passion is graphics, I plan on opening a graphics site! The site would be called "Gone with the Wind" because once you see my graphics(and Nim ;D) they will (hopefully) blow you away! As I mentioned 1230293 times, I love to make art. Some of my examples can be seen when you enter this page! I plan on drawing Nim, and entering her in the BC. Hopefully, we will win gold! Only once have I won a trophy, and it was for Loopzy_Lollipopz. Now, even though Nim is all ready BEAUTIFUL, some customization will make her look even prettier! I don't really have a theme for when customizing my pets, but I just "go with the flow" and see what looks best and works. Nim will stay on this account, but there might be some shifting between my side(SuperSonya). Who is Cookies? Hi. c: I am Cookies. A few of my hobbies include:site making, design, sewing and cooking, chatting, making friends, collection avatars(I am so proud of having 200+! ), trading and adopting pets, gifting, trying to come up with names for pets, and just being random. I am so close to reaching another one of my goals, having 1 million neopoints! I do have a blog. You can view it here:blog although it isn't updated that much. Meet the family! I have 3 permanant pets currently, and I plan on making Nim my final! My 3 permies are Cordashia(my lovely little baby unicorn who I ADORE), Loopzy_Lollipopz(my lab pet who I won a gold BC trophy with), and Angalisa(my lovely little angel who is also my roleplay pet). I hope you (at least) consider sending Nim over to me because I would absolutly adore having her! I would never trade her and show her off, because she is something worth it!! Welcome to my art tutorial! Here, I will go through some basic steps on how to make some great headshots of pets! I will be using Photoshop cs5.1 extended(the newest version) but it should work in other photoshops as well as GIMP. Drag and drop the screenshots. Step 1: First what you want to do is open up Photoshop. Now, go to file,new and select the "photo" preset. Now, we start the art! Next, what you want to do, is pick out the pet you will be drawing. 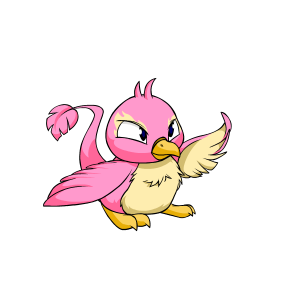 I will be using a Pink Pteri. Copy the pets image, and paste it into your photoshop. Drag the image to the top right corner. Now select the eyedropper tool(under the cropping tool)and click on the 2 main colors of your pet. Make a new layer(shift crl n) and click on the brush tool(underneath the spot healing brush tool) and choose Hard Round Pressure Opacity. Make the head of your pet. Remember to try to get all of the nooks, crannies, bumps etc. It does help if you view a larger version of the pet you are drawing. Choose the paint bucket tool(under the eraser tool in the middle section) and fill in your head. Do not worry about the shading. If needed, choose the eraser and chip away some extra bumps. Now, choose the paintbrush tool(choose a brush with a tip of 40 or higher) and make 2 circles to serve as your eyes. Make sure to get the color using the eyedropper tool! Once you have done that, make the current color white, and it the right top corner of your eye, make a circle to look like the light is shining on the pet. If your pet is a girl, I suggest drawing eyelashes, but since mine isn't, I won't be. Now we start the nose. Choose the paintbrush yet again and choose a brush with a tip of 10 or less. Using the eyedropper, get the color of your nose(or beak.) Draw it to the best of your abilities. If you pet has a beak, then draw the smile using the "pencil" tool(right click on the brush tool). Last but not least we draw the hair. My Pteri's hair is only 3 strands. 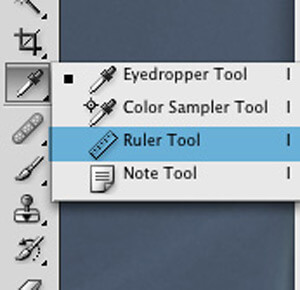 I use the pencil tool, and select pink. The pink must be lighter than the skin color other wise it will blend in. I make 3 or 4 lines and I am done! Now we shade! Choose your shading colors and shade! I am not going to shade because my colors are to different. Now there are just a few steps left! Always copyright your work. Art can be stolen and and entered in the BC. Choose the text tool and type in your username! Now, upload to an image hosting site(some need accounts). Here is how mine turned out. Farheen: WE could make donuts. You need, a box of cake mix(vanilla or Angels food cake) and sugar or if you want some fancy frosting.